Craft Digital makes the shortlist for the 2017 Blog Awards Ireland! 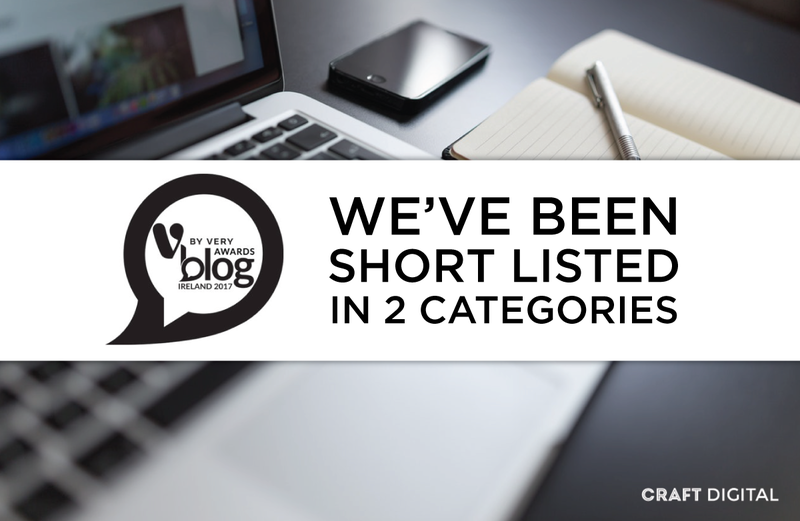 This time around we’ve made it into the Corporate Blog section categories for both “Food & Drink” and “Food Review” blogs. We came third last year in the Food Experience (Review) category so we’re thrilled to be in the running again as well as being added to new category for the blog. We have now moved into the next round of judging – the finalists. To read learn more on the awards judging process and the criteria for the next round, you can read all about it on their site by clicking here. Thanks for all your support to date and we’ll be sure to keep in the loop about any further progress! « The Irish Craft Beer Festival is back and we’ve got tickets up for grabs!